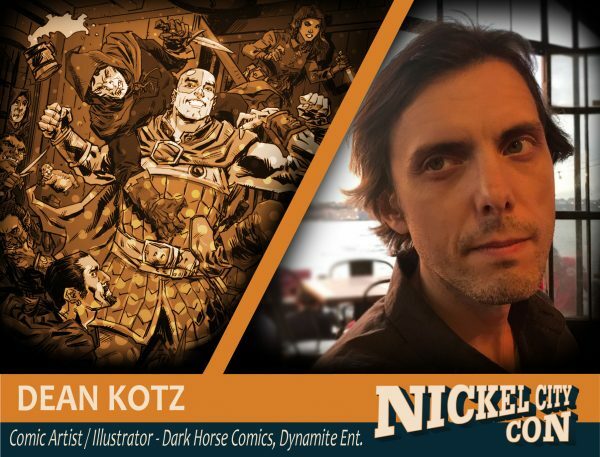 Dean Kotz is a Brooklyn-based comic artist who has drawn comics and illustrations for numerous publishers and game designers. Some of the titles he’s worked on include Dungeons and Dragons, Charmed, The Red Panda, Poe, Trailer Park of Terror, and Krampus!, a series he co-created for Image Comics. He’s currently drawing a horror/true crime series for Dark Horse Comics. Dynamite Comics has also just announced Dean as the artist for their June meta-crossover release of Warlord of Mars Attacks Along side writer Jeff Parker.